Google Cloud CEO Thomas Kurian, the successor to Diane Greene (co-founder of VMWare) was roped in last year to catch up with industry rivals like AWS and Microsoft Azure who currently enjoy market leadership. In fact, Kurian’s appointment from Oracle didn’t inspire much confidence among market watchers who believe the search giant is struggling to maintain its place in this three-legged cloud race. Under the aegis of Greene, the Google Cloud division had aggressively expanded its portfolio of enterprise cloud services in an attempt to lock in customers such as Home Depot and Target, yet Google’s cloud division remains a small player. According to a Dow Jones report, Greene struggled to win a bigger market share from AWS and Microsoft Azure, which was the key mandate when she took over the reins in 2015. Now, the cloud is undoubtedly Google’s biggest investment and it has also launched a clutch of niche services around it, but it is still not taken seriously as a cloud player. Like its industry competitors AWS and Microsoft Azure, GCP provides a slew of cloud-based tools for AI and machine learning. In fact, all of Google’s AI efforts are also closely linked with its GCP offerings, headed by AI and Search chief John Giannandrea who left the parent company to join Apple last year. Analysts believe for Google to be taken seriously, the company should double down on its investments with strategic M&As just like its peers. A recent analyst report indicates that as compared to its rivals, Google lacks an aggressive M&A activity (let’s not forget IBM recently acquired RedHat). Meanwhile, on the financial front, Ruth Porat, CFO was cited in a news report that Google Cloud platform deals had doubled over $1 million along with the multi-year contracts inked. Cloud computing accounts for 10% of total quarterly sales at Amazon and reports indicated its revenue increased by 45% in the fourth quarter of the year. This is the line that Kurian, a long time Oracle veteran will be toeing to swing around GCP and make it a player to reckon with in the heated cloud wars. 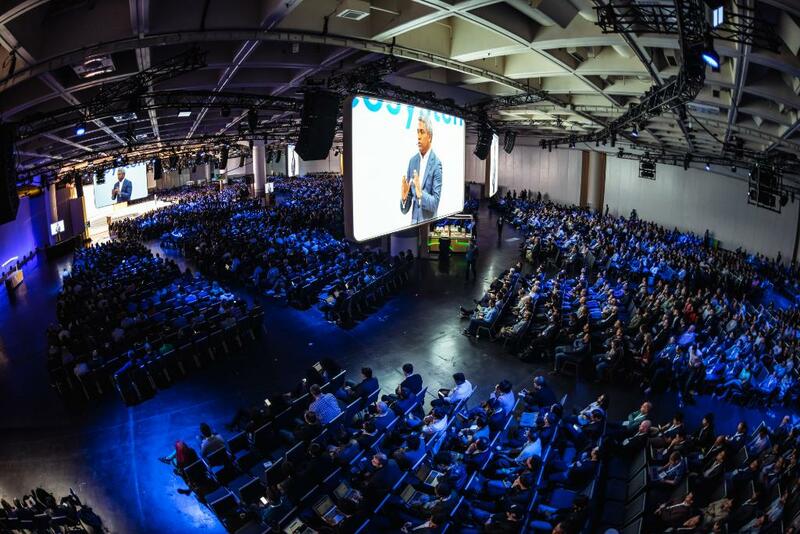 In his first major and keenly-awaited public event – the ongoing Google Cloud Next ‘19 conference held in San Francisco, Kurian made a key announcement since he took over the reins from Greene earlier this year. 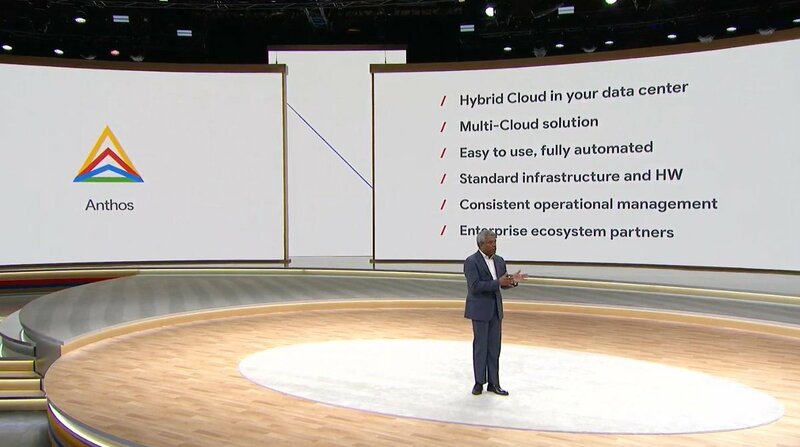 Kurian also reportedly admitted that he’s heavily borrowing from the Oracle playbook — winning over the enterprise market by positioning GCP as a user-friendly cloud platform, and even perhaps the “easiest cloud provider to work with”. Keeping in line with his technological direction and staying true to Google’s commitment to open source, Kurian announced Anthos, formerly known as Cloud Services Platform which is basically an open-source enterprise product. Primarily, Anthos powered by Kubernetes puts hybrid-cloud capabilities into the customer’s data center and helps enterprises transform their architectural approach. Most importantly, it allows users with a service-centric view of their infrastructure, wherein users will spend less time managing applications and get greater awareness, consistency, and control. In essence, Anthos, container focused platform provides the security and portability required by users. In addition to Anthos, Kurian, just like his predecessor also trotted out a bevvy of new customers from a range of industries, majorly media, retail, finance and entertainment. 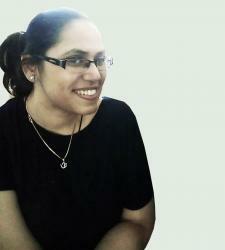 In fact, Anthos is in line with what he learned at Oracle where Java was born and soon became the industry product. This container-focused software platform will allow users to seamlessly move across various public clouds (even AWS) allowing users portability. In an interview to the Wall Street Journal, Kurian revealed that he would expand the sales team as this one of the pain points he heard back from enterprise users who conceded they lacked an account manager to get back to. So, taking a leaf from his former employer’s playbook, he would expand on his vision of a focused sales approach. In addition to the sector-focused sales approach, the top executive would also sharpen the focus on specific industries/verticals like media, finance and automotive sector. This is in line with his views to tailor products to specific sectors. GCP now billed as ‘digital transformation enabler’ is expanding its datacentres to resolve latency issues and become the best strategic partner enterprises look for. Kurian, a well-respected technologist and industry veteran has a bunch of plans to grow GCP’s market share. At the event, he said the company will soon have technical specialists onboard who can guide enterprises in their cloud adoption and he will also double down on building up go-to market teams. Also, its recent collaborations with open source database companies will help it solidify its position in the market and take on rivals AWS and Microsoft.